A few weeks ago I was at one of the 830 LE VIP events, and met over 90 enthusiastic BERNINA fans. I had so much fun! One of the ladies, Ginger Pahos, sent me some photos of a few recent projects. 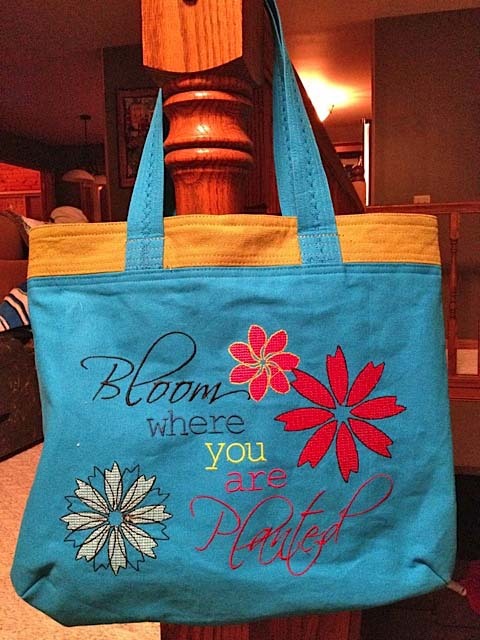 The bag is about 15″ x 18″, and the pattern and designs are both from Meringue Designs. Ginger says the pattern is well-written with lots of pictures – my kind of project! I hate getting bogged down trying to decipher instructions. 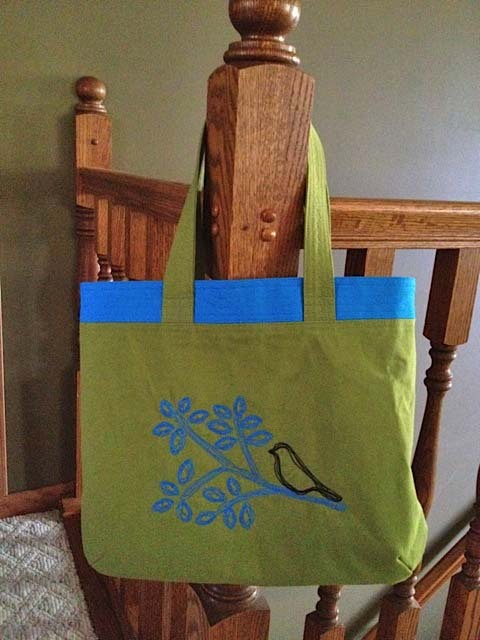 Thank you, Ginger, for sharing your beautiful bags! Previous Previous post: You Have To Enter To WIN!